With the ICC World Cup just around the corner, it is time for teams to choose their 15-man squad. India have just announced theirs, and the surprising inclusion in their squad is that of Vijay Shankar. The Tamil Nadu star is in good form right now but his inclusion over Rishabh Pant seems to have confused some. 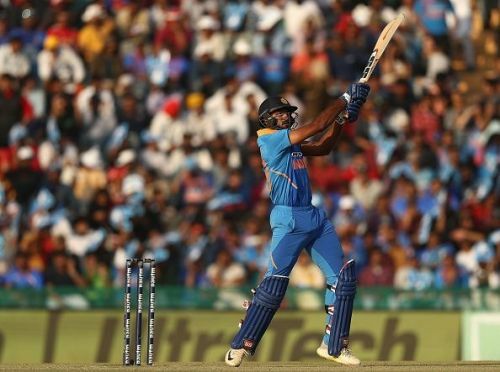 For some others, however, Vijay Shankar earned his place in the World Cup squad due to his great performances of late. "After the Champions Trophy [in mid-2017], we have tried quite a few middle-order batsmen, which also includes Dinesh Karthik at that order, and we also tried Shreyas Iyer and Manish Pandey. We did give a few more chances to Rayudu but what Vijay Shankar offers is three dimensions,"
"Apart from his batting, he can bowl. If the conditions are suitable, overcast, which we might encounter in England, he might bowl a bit and he's a fantastic fielder. That's the thing that went in favour of Vijay Shankar. We are looking at him at No. 4 and with Dinesh Karthik and Kedar Jadhav in, we have plenty of options at that No. 4 slot right now." Virat Kohli (capt), Rohit Sharma (vice-capt), Shikhar Dhawan, KL Rahul, Vijay Shankar, MS Dhoni (wk), Kedar Jadhav, Dinesh Karthik, Yuzvendra Chahal, Kuldeep Yadav, Bhuvneshwar Kumar, Jasprit Bumrah, Hardik Pandya, Ravindra Jadeja, Mohammed Shami. Could be option for Number 4 - BCCI Selectors!